First issued more than 10 years ago (in very limited deluxe edition of 100 handmade CDs/2007) by Lesdisques Blasphematoires Du Palatin — a memorable label name conveying a frontal cynicism towards the globalizing music appreciation's most canonical sphere —, Michael Yonkers & GR's The High Speed Recording Complex still remains today the unparalleled piece of Outsider Music it was predestined to be and, like the Phoenix rising again & again from the ashes of his aromas and incense nest, has sniffed the means of its own survival in the burning flames. Living about 4500 miles apart from each other, both men found through the distance, beyond space geography, the simplest process of all by just sending each other the parts captured (at high-speed) on their respective 4-track tape recorder, injecting new material coming out of "transatlantic delivery" with new layered sounds and so on until the sonic multi-dispatch gets dosed in an outrageous mix. 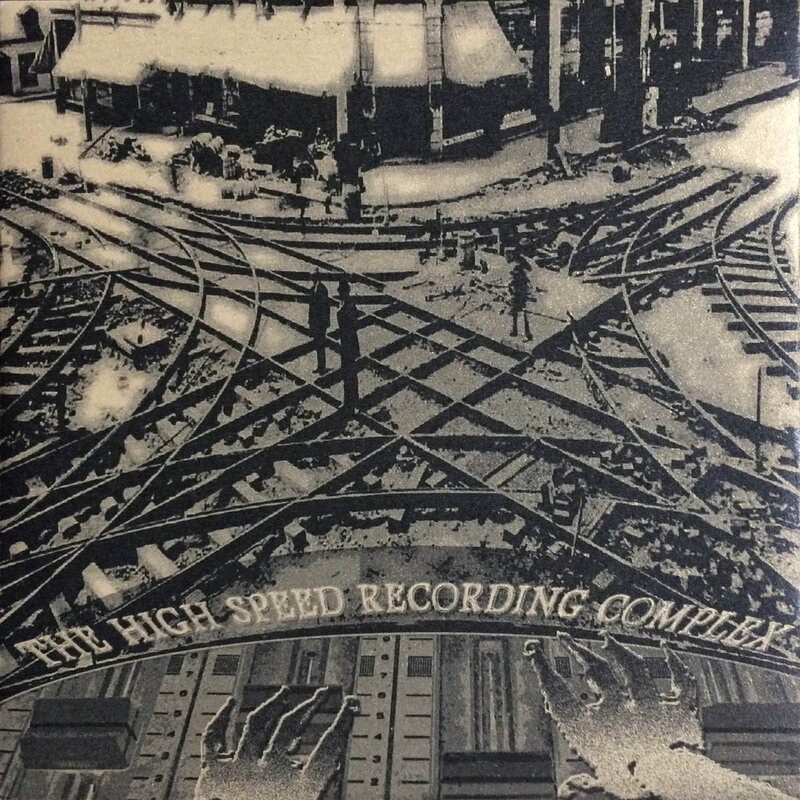 They coined it "The High Speed Recording Complex". Out of the speakers this is some boiling lava of tremendous noise diffused on the surface of the skin, — move closer, this is just future Blues licensed by natural germination! in 2010, the album was reissued on LP by the Spanish label Burka For Everybody, offering on the same occasion a second master made by GR. 11 years after its first release, a re-premiere of the complete album — with the original 2007 master — is made available by Opaque Dynamo, and for the first time with digital download option. It's time to plug your ears again to this ultra dynamic, raw & powerful concoction which raises the Lo-Fi approach to a pivotal degree of self-liberation.